VW Transporter T5.1 fitted with Light Bar Headlights, Stainless Steel Side Bars, Roof Rails, Full Interior Carpet Lining, New Rear Boards, Lino Flooring, Behind the Driver and Sliding Door Privacy Glass Windows! Interior Carpet, Boards, Lino Flooring and Privacy Glass fitting service available call us for a quote! Another great job completed by Van-Tech! Change the look of your VW Transporter T5.1 with these stunning Light Bar Headlights. The lights have a similar style to the Golf Style headlights and create a look that will get your van noticed! VW T5 Replacement Light Bar Headlights for VW Volkswagen Transporter T5.1 face lift models are made to the highest standard when you buy and fit these you’ll appreciate the solid quality knowing that you won’t have any problems. 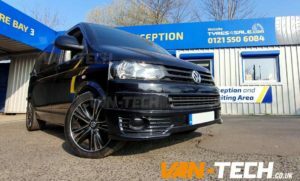 VW T5 T5.1 Side Bars Sportline Stainless Steel O.E Style SWB LWB Transporter are the perfect combination of great looks and practicality with a stylish finish and designed for T5 T5.1 Transporter Vans. These bars are made from Stainless Steel so you will not have to worry about the bars rusting in the future. O.E style curved ends that hug the body of the T5 they look and feel the same as original VW side bars fitted to sport line models, these side bars are not universal fit they are tailor made exclusively for the VW T5 and T5.1 Transporter. Sold complete with the fitting kit, you won’t need to do any drilling as these fit to the existing original fixing sites on the T5 and T5.1 Transporter. 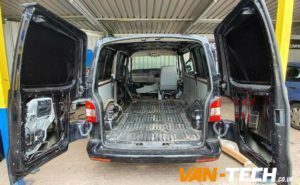 VW T5 SWB LWB Stainless Steel Roof Rails Roof Rails look the part and if you are looking for roof rails that can take some weight then you are best off with these 42mm solid steel rails rather than the lightweight aluminium ones. Solid one piece construction for serious strength. Transform your van into a home with our range of interior carpet for VW Transporter T5 and T5.1 Vans. Prices start from £650 for a full interior! 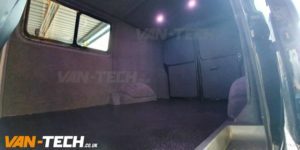 Fitted by our expert technicians we will transform the interior of your van adding an extra layer of comfort and insulation. Ideal for cusomers looking to transform a commercial vehicle in to a camper van. 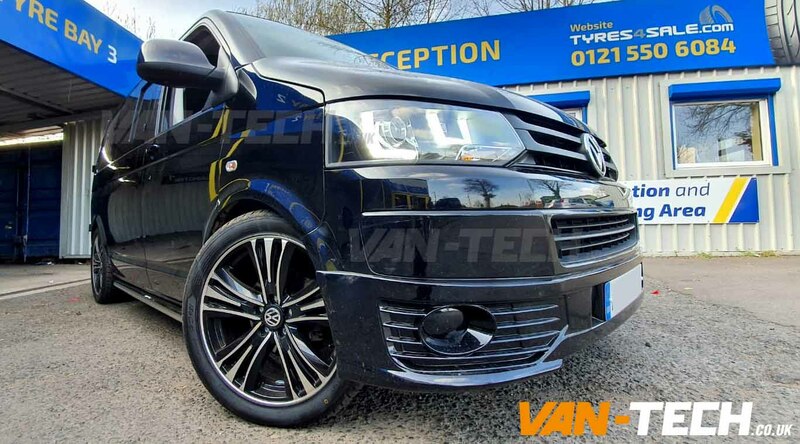 These high quality VW T5 T5.1 Privacy Glass Tinted Windows 1 x Drivers Slider 1 x Fixed Passengers will be ideal for anyone looking to convert a Commercial van in to a Camper van. Stained glass – our glass is dark because it is stained. It does not have tint filming, therefore it will not degrade and will look great for as long as you own them. These windows provides the perfect compromise of privacy and light. Perfect fit – no misaligned edges. 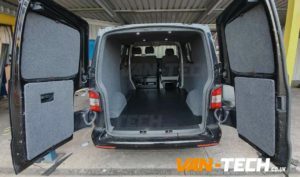 Van-Tech Supply and fit accessories for VW Transporter T4, T5 and T6 including Side Bars, Roof Rails, Alloy Wheels, Bumpers, Splitters, Curtains, Spoilers, Headlights and much more. 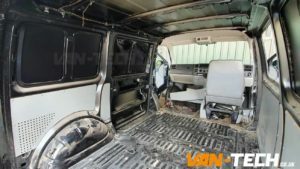 Why choose Van-Tech? Well, apart from a vast amount of choice of van accessories right at your fingertips. centres in the West Midlands. available from home and abroad many of our side bars are now manufactured in the UK.